Barter Books : Hasegawa, Takejiro; Chamberlain, Basil Hall [transl. ]; James, T H [transl.] : Japanese Fairy Tales. Complete set of English translated stories. Numbers 1 - 20 on crêpe paper bound in five volumes (four stories per volume). 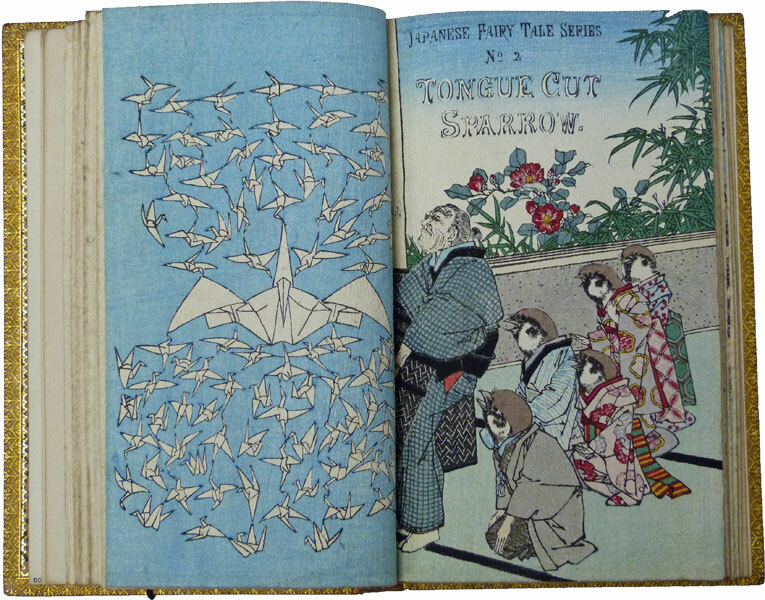 Beautifully illustrated with colour woodblocks. 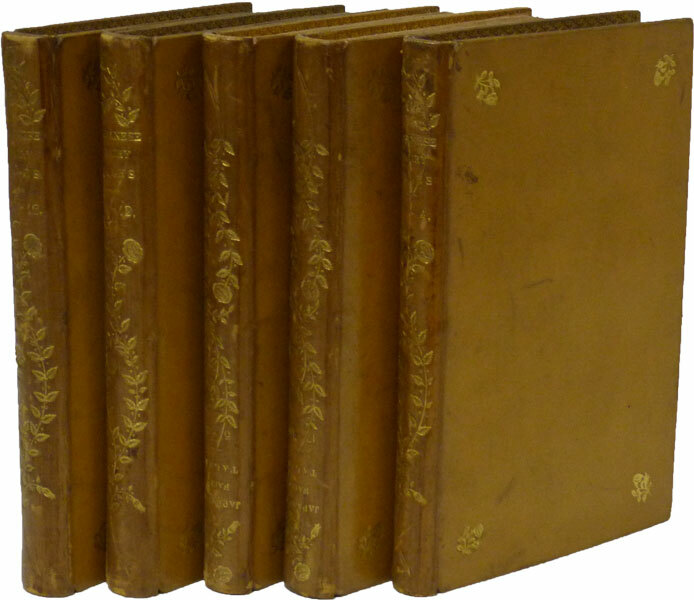 Brown hardback leather cover with tooled-gilt spines and dentelled edges. VG : in very good condition without dust jacket. 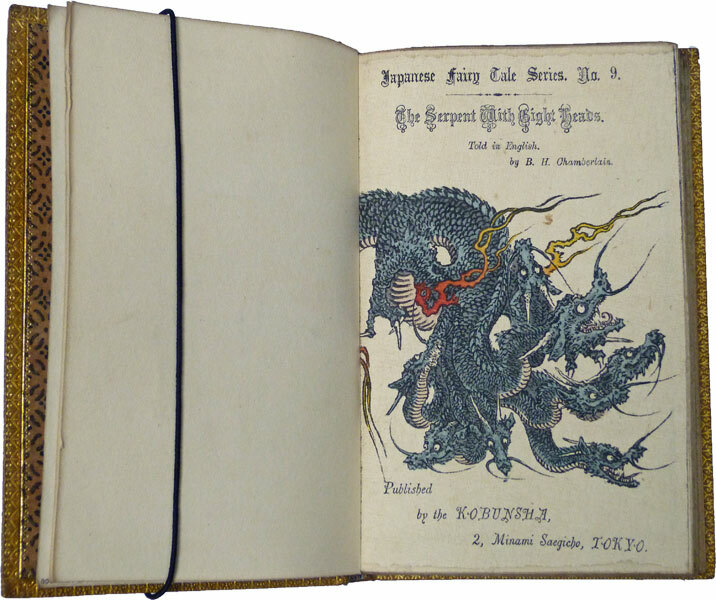 Original crêpe paper books rebound into five tooled-leather volumes. Bookplate of Alexander Scott Duncan to each front paste-down. A beautifully preserved complete set of Hasegawa's Japanese Fairy Tale series in chirimen-bon. 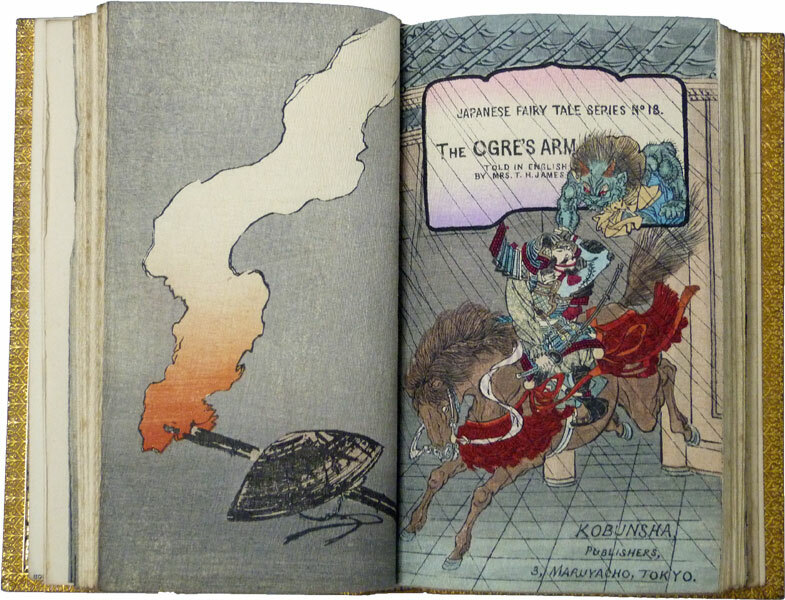 These soft, pliable story books were published in Japan from 1885 until as late as the 1960s. They are known as chirimen-bon. 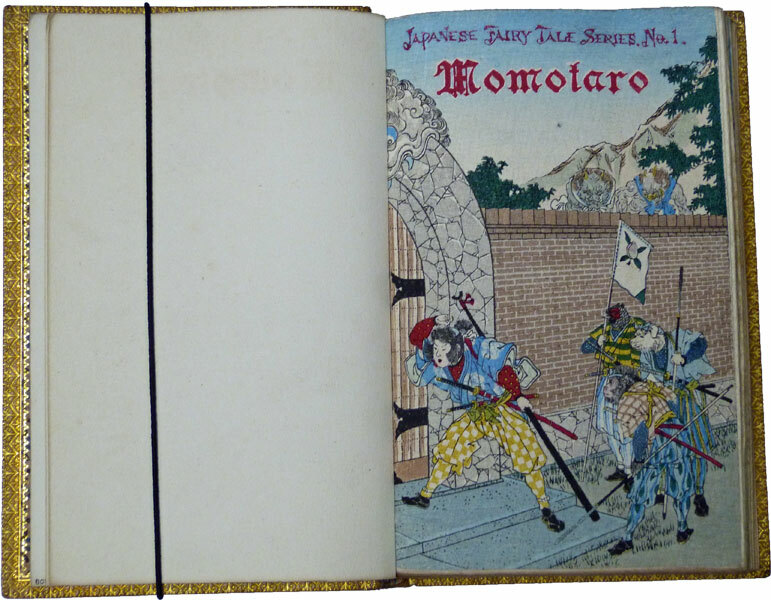 The woodblock prints that illustrate the fairy tales were based on those of the Meiji period and were bought chiefly as gifts by foreign travellers or by those wishing to learn about Japanese culture. Takejiro Hasegawa was the main publisher of chirimen-bon and such books were exported throughout the world. Exquisitely crafted, they remain highly collectable. The stories comprise: 1. Little Peachling; 2. Tongue-Cut Sparrow; 3. Battle of the Monkey and the Crab; 4.The Old Man Who Made the Dead Trees Blossom; 5. Katchi-Kachi Mountain; 6.Nedzumi no Yome-Iri; 7. The Old Man and the Devils; 8.Urashima, The Fisher-Boy; 9. The Serpent With Eight Heads; 10. The Matsuyama Mirror; 11. The Hare of Inaba ; 12.The Cub's Triumph; 13. The Silly Jelly-Fish; 14. The Princes Fire-Flash and Fire-Fade; 15. My Lord Bag-O'Rice; 16. The Wooden Bowl; 17. Schippeitaro; 18. The Ogre's Arm; 19. The Ogres of Oyeyama; 20. The Enchanted Waterfall.